After a rocky start to the month, high stakes Pot Limit Omaha specialist ‘BERRI SWEET’ went on an end-of-the-month heater to storm back and take the top spot in the overall winners in online cash for the month of November, according to the data tracked by Highstakesdb.com. After putting in far and away the most volume of anyone in this month’s Top 10, 161 sessions, ‘BERRI SWEET’ managed to end the month with a monster profit of $418,361 over the course of 10,389 hands. The largest portion of the winnings came in the final days of the month as ‘BERRI SWEET’ collected nearly $200K playing PLO against the likes of Viktor ‘Isildur1’ Blom. The uptick was enough to put ‘BERRI SWEET’ out front as the year’s most profitable online grinder to date, up over $1,850,000 with only December left. Ben ‘Sauce123’ Sulsky took the #2 spot in November with a monster month of his own. 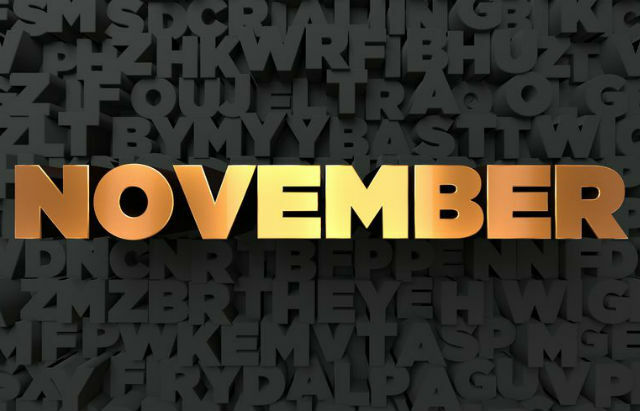 Profitable to the tune of $339,755, Sulsky essentially took the majority of the month off from the online tables showing next to no activity until the final days of November. When he did log on his profit shot straight up, due to large wins at the PokerStars Eight Game Mix tables, mostly at the expense of, once again, Blom. Sulsky also managed to put in a couple of sessions at the PLO tables helping pad his Eight Game wins and pulling him out of negative territory for 2017 and place him as the ninth largest winner of 2017 to date with over $313,000 in earnings. November was also crucial for high stakes PLO grinder Laszlo ‘omaha4rollz’ Bujtas, who comes in at #3. After languishing the majority of the year in the red, Bujtas strung together a few winning sessions, including a serious spike of roughly $100,000 on November 27, to dig himself out of the hole and book a profit of $150,598 in November making his earn roughly $28,770 for the year to date. Bujtas put in about half the volume of ‘BERRI SWEET’, with roughly 4250 hands played over 82 tracked sessions, good for the second most active of the month’s Top 10. ‘€uroTr@sh1’ booked the fourth biggest win of the month posting a $122,041 profit over 2856 hands, averaging out to a win of over $42 a hand. ‘€uroTr@sh1’ did all of his damage early in the month when he crushed the $25/$50 and $50/$100 high stakes PLO tables for a few days straight bringing in the bulk of his winnings. The heater has him at a peak for this year putting him on pace, based on his pattern of volume, to end the year with a profit. It’s been a rough go for ‘€uroTr@sh1’, in general, in the biggest games as he’s looking to rebound from a nearly $600,000 lifetime deficit. His big November bounce has him up off the floor he touched earlier this year and back on the path to possible profitability, currently down approximately $400,000 since 2012. Get in, get out was ‘OhHeyCindy’s approach this month as after the number five winner accumulated roughly $110,000 in the first two days of the month, ‘OhHeyCindy’ essentially called it a day for the month, putting in minimal volume past those sessions. In total, the No Limit Hold’em specialist banked $2 shy of $118,000. After being up for the majority of 2017, a sharp freefall in August and September found ’OhHeyCindy’ suddenly looking up at the break-even line. The 3159 tracked hands helped out immensely and ‘OhHeyCindy’ currently sits on over $81,000 of profit for the year. Blom was mentioned as a victim of a pair of the largest winners in November, and this month was a swingy one for him to say the least. Down as low as -$180,000 he ran it up to a peak of $155,000 profit only to see it crash back down to end the month as one of the biggest losers, having dropped roughly $225,000. But lest the giver-of-action’s fans be worried, Blom is still in the midst of a fantastic year, still up $1.1 million for 2017, even with the downturn.